"We've decided not to design or build our own aircraft any longer, and to close our facility in Bridgwater in the UK," Yael Maguire, a Director of Engineering at Facebook, wrote in a blog post on Wednesday. "Going forward, we'll continue to work with partners like Airbus on HAPS connectivity generally, and on the other technologies needed to make this system work, like flight control computers and high-density batteries," Maguire added. 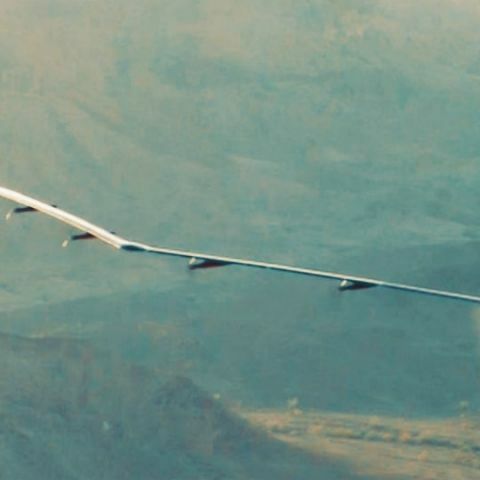 "Over the next year we're going to keep testing Aquila -- flying higher and longer, and adding more planes and payloads," Zuckerberg had written in a post. It included adding "spoilers" to the wings, which help to increase drag and reduce lift during the landing approach; incorporating hundreds of sensors to gather new data; modifying the autopilot software; integrating new radios for the communication subsystem, applying a smoother finish on the plane and installing a horizontal propeller stopping mechanism to support a successful landing. "We've made important progress on some of the other key parts of the system -- including setting new records using millimeter-wave (MMW) technology in air-to-ground and point-to-point communication," Maguire informed. "We are continuing to invest in developing next-generation technologies like 'Terragraph', working with partners on new infrastructure builds like our fibre project in Uganda, and supporting entrepreneurs in programs like Express Wi-Fi -- all to help connect the four billion people who still do not have access to the Internet," the blog post said.